The Philippine Board of Studies handpicked top students nationwide to compete in Malaysia early this year for the International Science Competition. One of the few students who made it was Southville’s consistent academic varsity and veteran contender, Robert Jeremiah Rivera. Rivera participated in two categories which were the Junior Team Competition where he earned BRONZE together with his “Vietnamese” teammates and the Junior Individual Competition where he attained SILVER and was only two-point lead close to the gold. Recently, he was also awarded as the top Grade 7 student joining the Fifteen Filipino Science Wizards at ICAS, University of New South Wales, Australia. Rivera did not expect the invitation yet the high distinction awards including the gold medal he received at the International Competitions and Assessments for Schools (ICAS ) 2018 qualified him to join other Filipino delegates to represent the Philippines. “I wasn’t prepared but I did not feel nervous because I’m used to attending competitions. Although, it is my first time to compete at the International Science Competition,” said Robert in an interview. People also commended that Rivera is a quiet person who has an innate passion for Science. Rivera is currently preparing for his upcoming local and international competitions. He is also known to be competitive in other subjects like Mathematics. 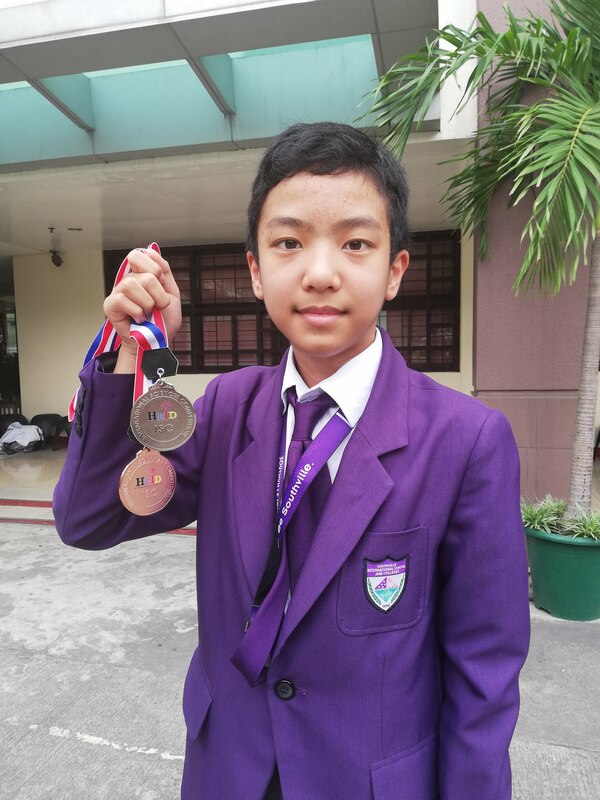 He hopes to join other premier academic competitions abroad like the World Scholar’s Cup which was successfully participated by his brother, Stan Rivera, also one of the promising academic varsities from Southville.